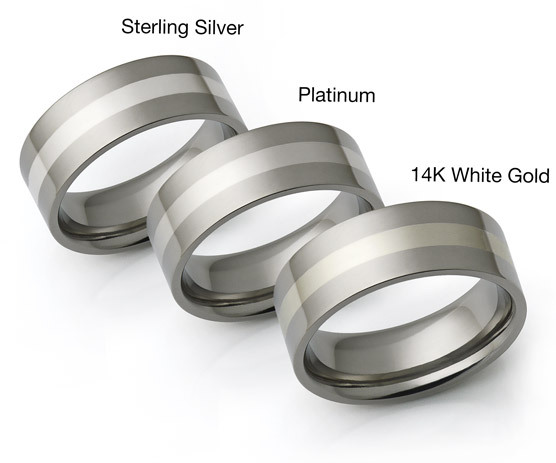 Titanium Ring with Slightly Raised Domed Inlay and Rolled Edges: The center of the ring is slightly raised while the sides are rolled giving this ring a classic appearance and a very comfortable fit. The entire center section of this ring is made of gold! 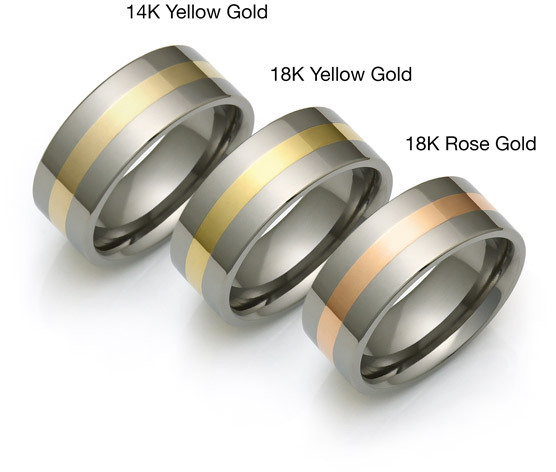 Available with gold, white gold, platinum and silver. 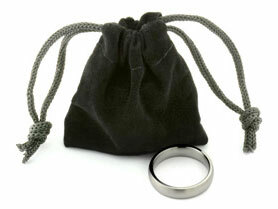 As with all domed rings this one is very comfortable for everyday wear. 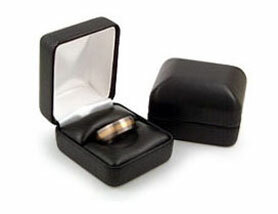 The ring is rounded on the inside for a comfort fit. My fiance picked this ring out. 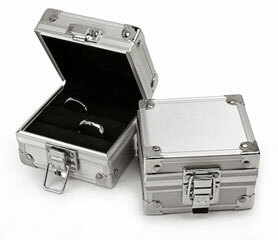 He needs a very durable ring and that is why we went with titanium. Because I was "hemming and hawing" about not getting him a gold band, he chose to have the gold inlay. The ring is really quite beautiful. I know he will love it. 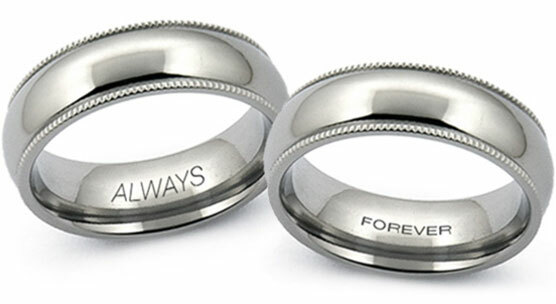 Also, a plus over the gold rings is that this ring is lighter in weight.